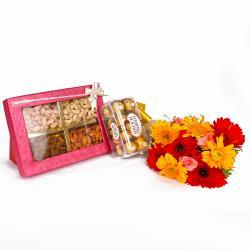 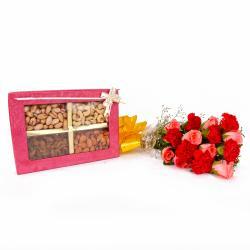 Product Consists: Bunch of 10 Red Color Roses with green fillers along with Box of Assorted Dryfruits (Weight : 500 Gms). 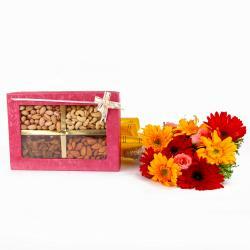 This gift combo specially makes for a great days when it gift to surprising friends and family members on occasions like Birthday, Anniversary, Diwali, Onam, Parents Day and so on. 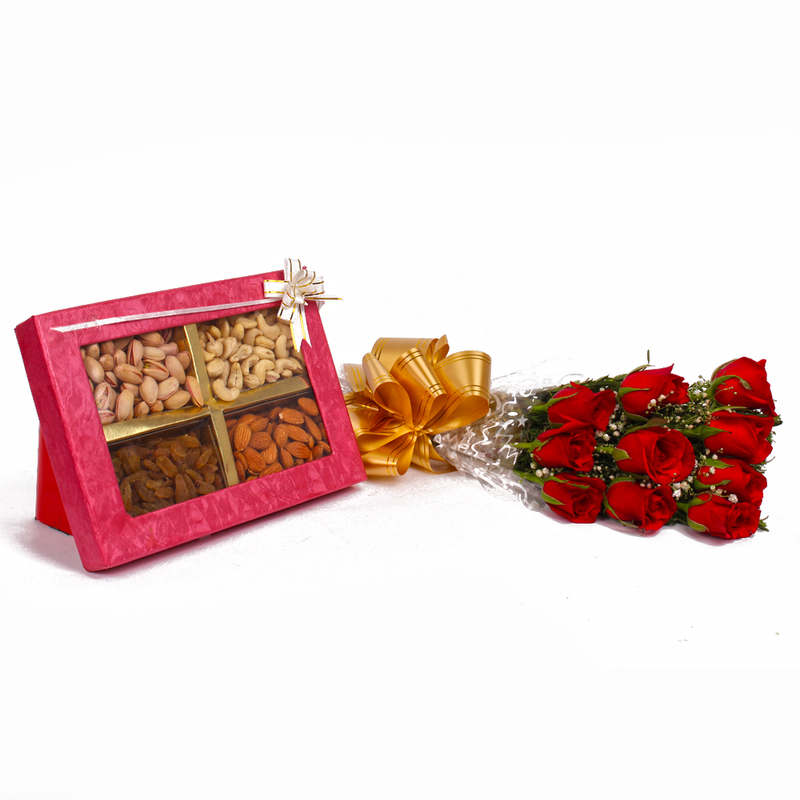 Jazz up the special event of your loved ones by delighting them with striking gift combos of bunch of gorgeous bouquet containing red color roses is beautifully bow tied with matching fancy ribbon clubbed with dryfruits This special combo of roses and dryfruits will be really hard to resist without a doubt and are bound to please any recipient immensely. 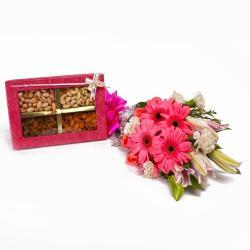 This gift hamper contains : Bouquet of 10 Red Color Roses with green fillers along with Box of Assorted Dryfruits (Weight : 500 Gms).